Commuters will have to fork out more cash to travel around the Capital, with fares for day tickets, Ridacards and airport journeys set to rise. Transport chiefs say the increases are necessary to cover the cost of improved services and new, low-emissions buses, but travellers are likely to be angered by the price bump at a time of record low inflation and rock-bottom oil prices. However, single fares and children’s tickets have been frozen for the third consecutive year, with the cost of hopping on the bus or the tram remaining £1.50. The price of an adult day ticket will rise by 50p to £4, while the cost of a family day ticket will go up by £1 to £8.50. Tickets on the Airlink bus service between the city centre and Edinburgh Airport will also rise by 50p, with singles costing £4.50 and returns £7.50. The change means the gap between bus and tram fares to the airport will shrink to just 50p, potentially raising more revenue for the city’s tram line as passengers stump up £5 for a smoother journey. Ridacard costs are also set to rise, with between £1 and £18 being added to subscription payments for adults, depending on the type of ticket. However, the biggest losers will be students, who will see some of the largest percentage rises on their Ridacard fares. The cost of a one-week student travel pass will rise from £13 to £15, or 15.4 per cent, while an annual subscription will cost a whopping £57 more – an increase of 12.1 per cent on the current cost of £468. Officials say the subscription increases represent as little as 5p to 29p per day more, depending on the type of fare. Lothian Buses said that in the past two years, passengers have been able to use Ridacards on Nightbus services as well as trams, weekend and off-peak timetables have been increased, and 32 new bus drivers have been recruited to provide more services. 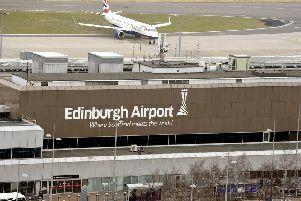 The price changes, which take effect on April 19, will also hit passengers taking the tram, except those going to Edinburgh Airport. Lothian Buses general manager Jim McFarlane said the fare categories being increased had not changed for several years. He said: “Our ticket range offers great value for what continues to be one of the highest rated bus services out there. Mr McFarlane added that Lothian Buses’ strong financial performance, generating a profit of £8.5m in 2013, means the company has been able to return a “healthy dividend” to the city as 91 per cent shareholder. In 2013, that dividend was £3.3m. Transport convener Lesley Hinds, who is chair of umbrella body Transport for Edinburgh, said she was “pleased” that single and child fares being frozen. BUS passengers in West Lothian are also set for fare increases, as operator First Bluebird announced an overhaul of ticket prices. Single fares will rise by 10p from £2.20 to £2.30, while return tickets will cost 20p more, up to £4.20. Child tickets will also increase in cost, from £1.10 to £1.20 for singles and from £2 to £2.20 for returns. Other fares are remaining the same. Paul McGowan, Managing Director of First Bluebird, said: “Despite rising costs and the ongoing challenging economy, I’m pleased we’ve been able to freeze many of our fares, including those for families, and held the price of weekly, monthly and annual passes, keeping them as affordable as possible. “Unfortunately, we’ve had to increase the cost of some tickets, however I can assure customers that we’ve done everything we can to keep these increases to the absolute minimum.” Several timetable changes are also being made.